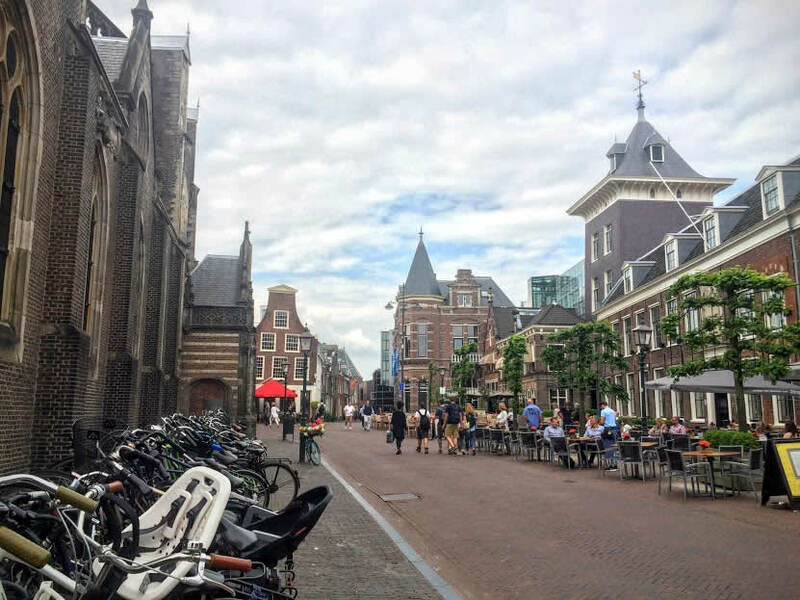 If you’re looking for a lovely Dutch town to visit on a day trip from Amsterdam, go to Haarlem. 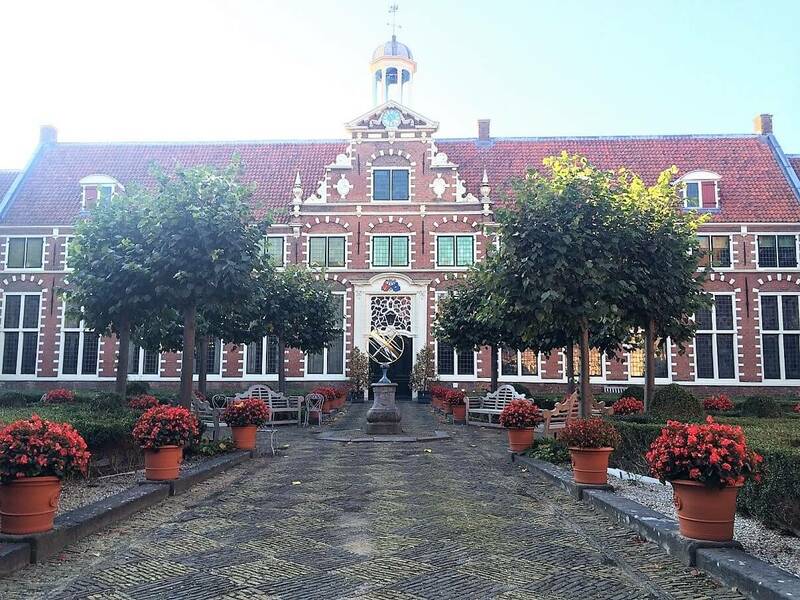 Located only twenty minutes from the Dutch capital, it’s a charming town, filled with history, beautiful architecture and some quite nice restaurants. Since I live there for the last three years, you can almost consider this being a local’s Haarlem Travel Guide. Here’s a bit about its history, best museums, cafes and things to do in Haarlem. Haarlem is located only twenty minutes by train from Amsterdam. Trains are departing every fifteen minutes and are usually going from platforms 1 and 2 at the Amsterdam Centraal Station. You can check their website for the time schedule. A good thing would be to buy a day return ticket and just check in and check out with it when entering the train stations. Haarlem is a small town (at least its historical centre is) and you can easily visit it on a day trip from Amsterdam. 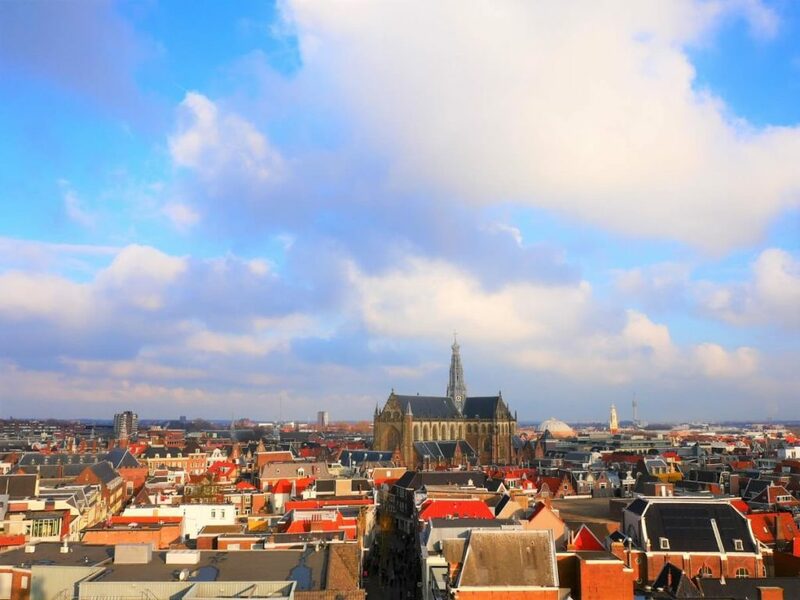 Here are some things to do in Haarlem. You can follow this walk around the city with some must see’s included. *TIP: If you want you can join some of the guided tours organised in Haarlem and see the city center in a couple of hours with a guide. 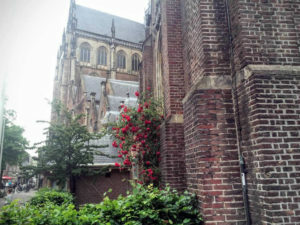 Here is the link to one of the walking tours organised in Haarlem. You can also explore the city on a bicycle. If you would like to do that, you can join this Haarlem highlights cycling tour (check out the link for more info). If you’re going to travel to Haarlem with a train, the first building you’re going to see is going to be its train station. Well, don’t rush outside immediately, but take a few moments to check out that beautiful place. It’s one of the oldest train stations in the Netherlands, built in the Art Deco style. At the beginning of the 20th Century, the first Dutch electrical tram was connecting it with a city centre. Haarlem’s Train Station even starred in a Hollywood movie! It portrayed Amsterdam Central Station in ‘Ocean’s Twelve’ in 2004. On your way from the train station to the main square in Haarlem you’re going to walk through the street which is filled with small shops and restaurants. 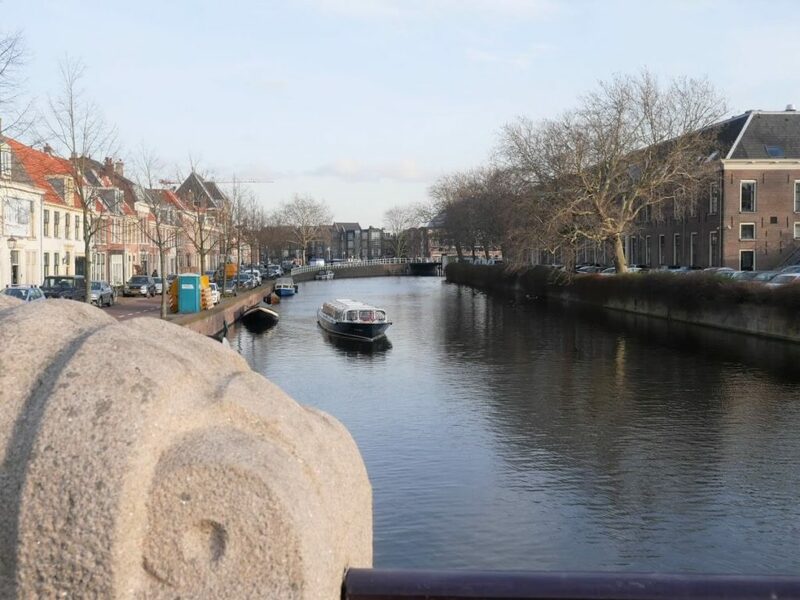 You’ll also pass by Nieuwe Gracht where you can see one of the most beautiful canal views in Haarlem. 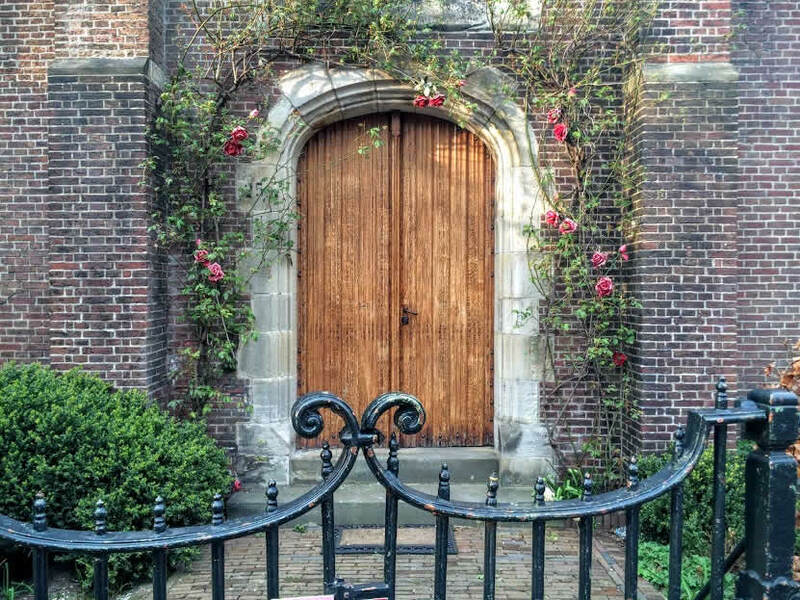 It’s actually one of the most popular photo spots in Haarlem, as well. 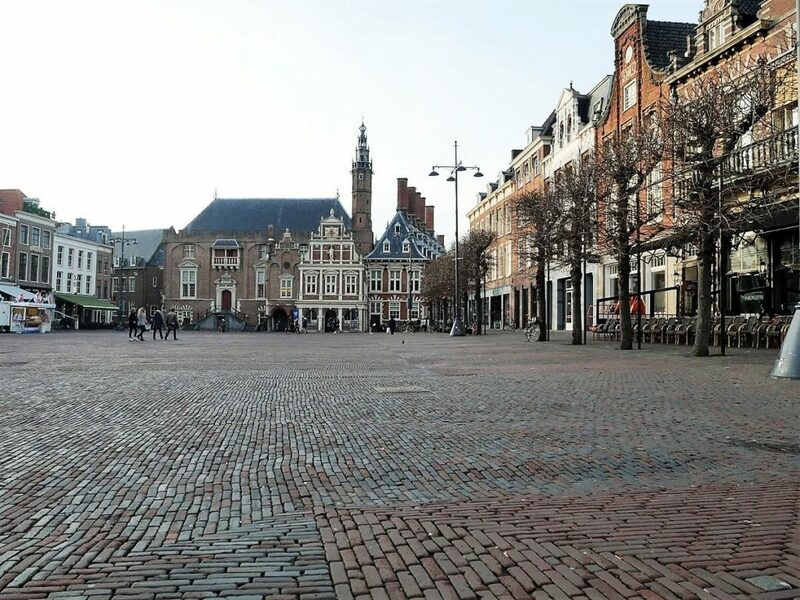 The main square in Haarlem is, like in other Dutch cities, called the Grote Markt. It’s one of the most beautiful town squares in the Netherlands, in my opinion. 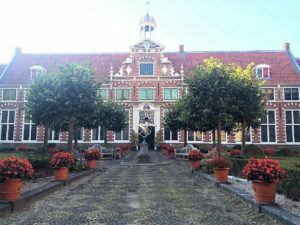 It’s surrounded with some amazing historical buildings and you could probably find all the examples of Dutch gables at houses there. This huge church is definitely a central point of the square. Built as a Catholic cathedral, it was later on converted to protestant church. Because of its past, it’s not a cathedral today any more. 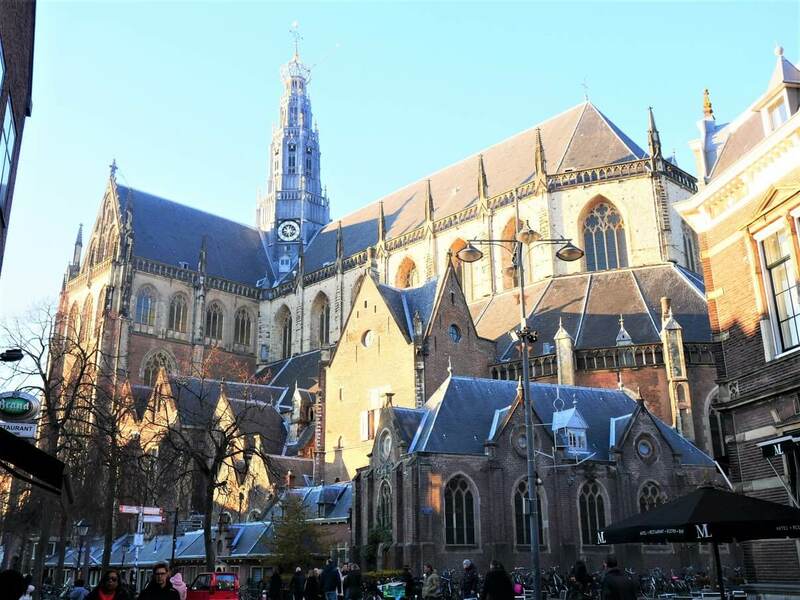 But you can find Haarlem’s Cathedral of St. Bavo at the southern part of the city. Church can be visited daily (with an exception of Sunday). Each Saturday at 2 PM a guided tour in English is organised there. It’s wooden ceiling with a beautiful decoration on it is probably my favourite part of that place. However, look down as well, because it’s where graves of many notable Haarlemmers are. Dutch Golden Ages’ painter Frans Hals, is probably the most famous among them. 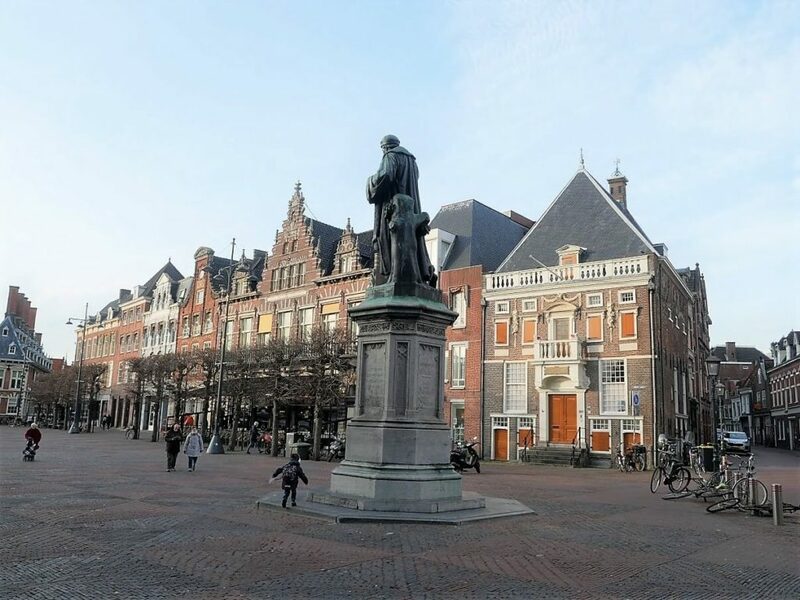 At the centre of the Grote Markt, you’re going to find a statue of Laurens Janszoon Coster, another famous former citizen of Haarlem. He is an alleged inventor of a printing press. He claimed, he has invented it at the same time as Johannes Gutenberg, but, unfortunately, he couldn’t prove it. However, some people are regarding him as a true inventor of it. And you can see, not one, but two of his statues in Haarlem today (another one is at a close-by, Prinsenhof). 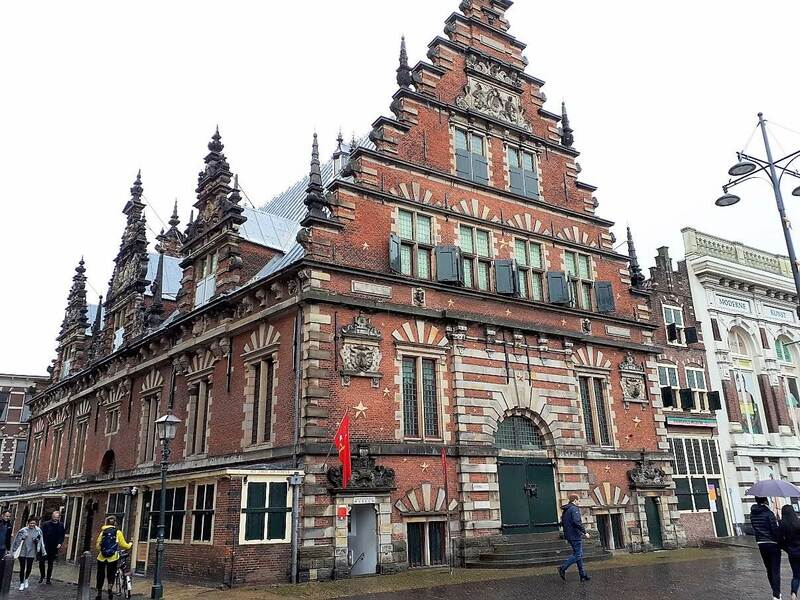 Former home of the Counts of Holland, the City Hall is today one of the most beautiful buildings in Haarlem. Built back in the 14th Century, it’s still showing how important Haarlem was during the Golden Ages. You can visit it and see some of its interior and wall paintings inside. *TIP: Haarlem’s Tourist Information Center is located at its ground floor. 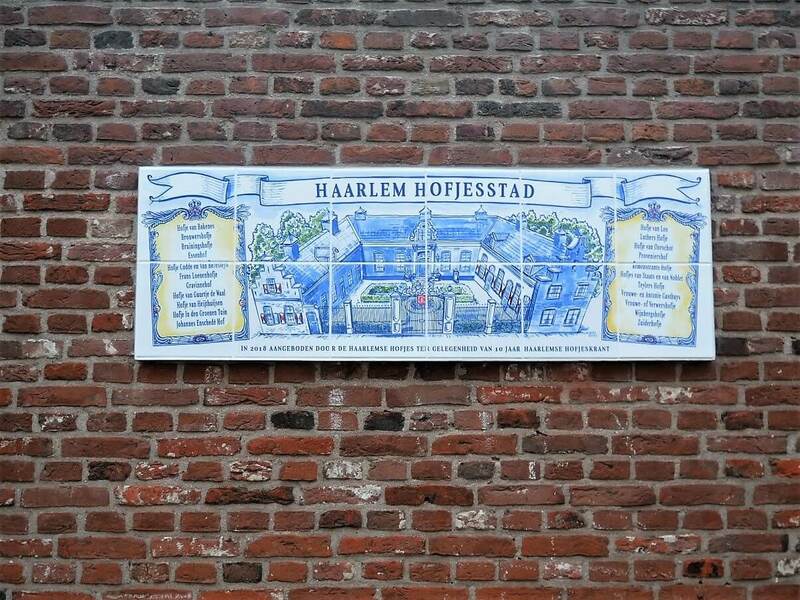 You can visit it and get a map of the city, booklets about Haarlem, or learn about events, guided tours and things to do in Haarlem. 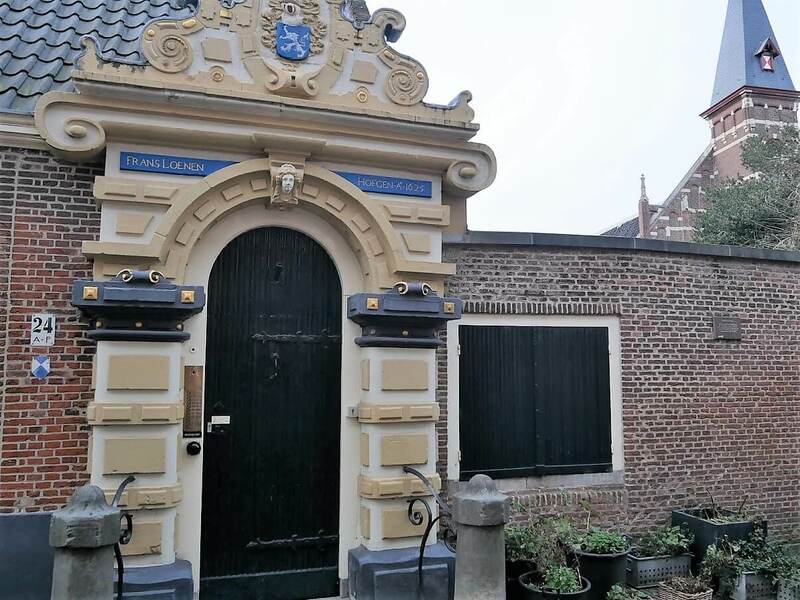 Built back in the 13th Century, Hoofdwacht is the oldest building in Haarlem. When it was first built it was used as a city hall. It had several purposes afterwards. 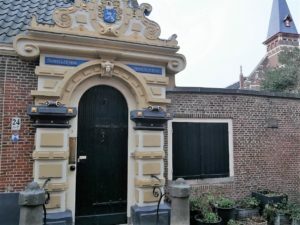 It was a printing shop (perhaps, that’s why a statue of Laurens Janszoon Coster is right in front of it), a home to some noble families, headquarters of the civic guards, even a jail at one point etc. 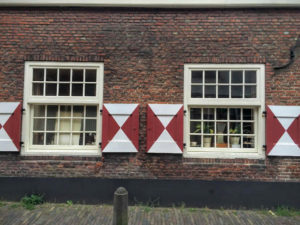 Built at the beginning of the 17th Century, Vleeshal was the only place in Haarlem where fresh meat could be sold during the 17th and 18th Century. 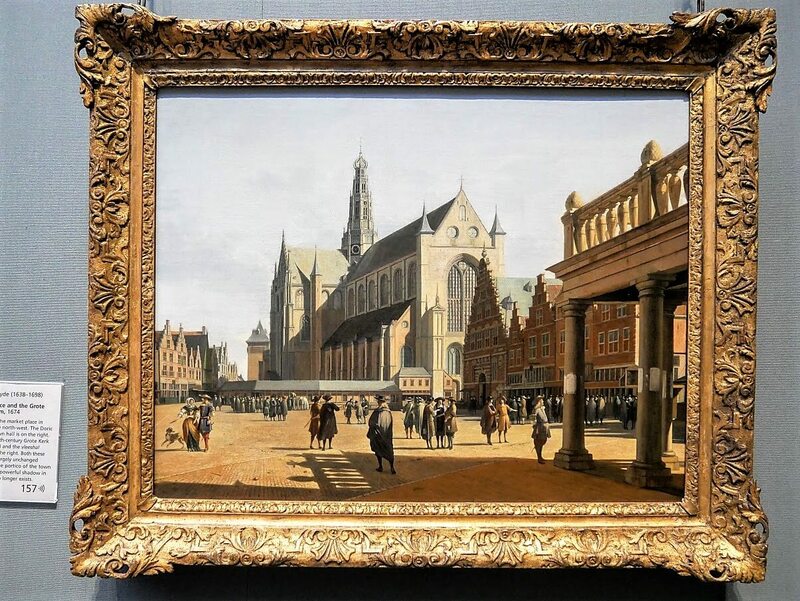 Haarlem’s Archaeological Museum and the ‘Hal’ building of the Frans Hals Museum are located in it today. Saint Bavo Cathedral is located a bit outside the city center, but only 15 minutes walk from the main square. It is a Catholic church and its construction was finished in 1930. 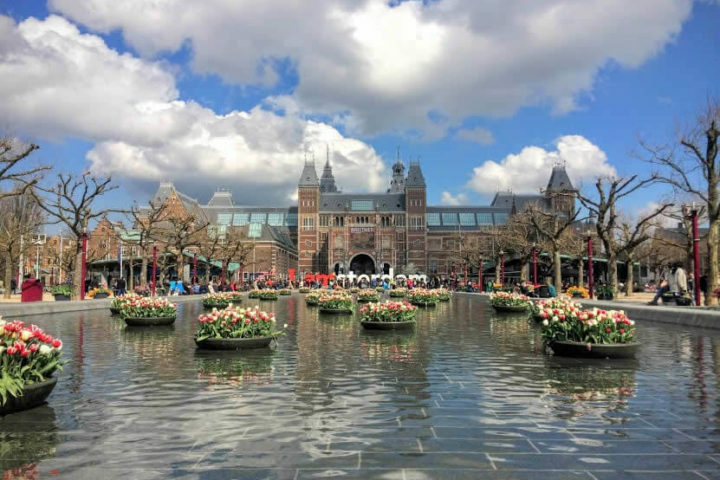 It was built by Joseph Cuypers, son of Pierre Cuypers, who designed Amsterdam’s Rijksmuseum and its central train station. 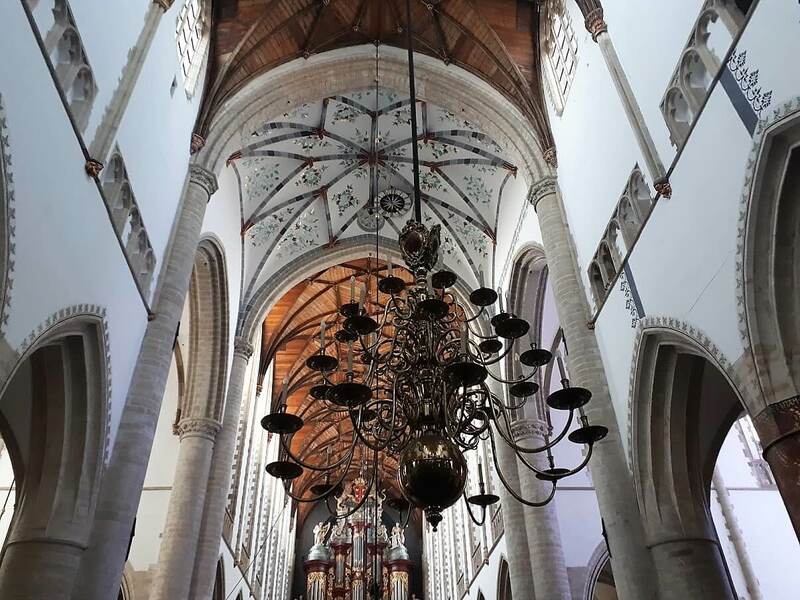 There is a small museum within the cathedral where you can see some artefacts from Haarlem’s Catholic past. 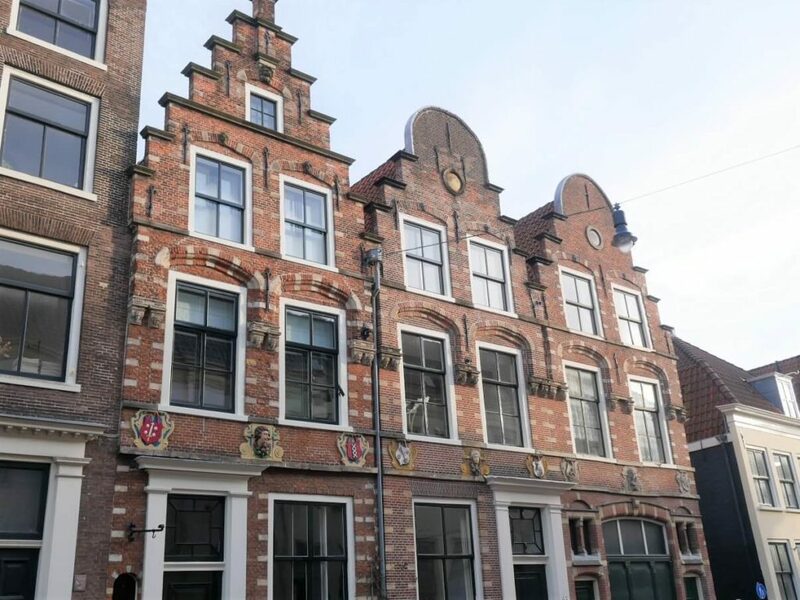 One of the most famous Dutch Golden Ages painters, Frans Hals, lived in Haarlem. So, it’s coming with no surprise that a museum with one of the biggest collection of his work is in Haarlem, too. Located in the building from the 17th Century where old men were living and enjoying in their golden years. Museum has two locations today. 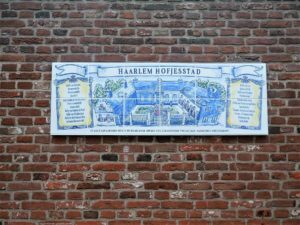 The one dedicated to Frans Hals’ work, Hof, is at the old building at the Groot Heiligland 62. And the other one, Hal, where you can see modern painters inspired by his work is at the Grote Markt 16. 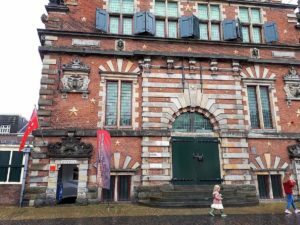 If you’ll have time to visit only one museum in Haarlem, I would definitely recommend you to visit Frans Hals Museum. *TIP: Buy your skip-the-line ticket for the Frans Hals Museum on a link here! Located in a beautiful classical building at the Spaarne River, Teylers is the oldest museum in the Netherlands. It contains some work of Michelangelo and Rembrandt, together with a natural history collection. It’s also the place where the top of the Mount Blanc is located. Quite an unusual exhibit, right? Teylers Museum is often organising great temporary exhibitions, so check their website before your visit. 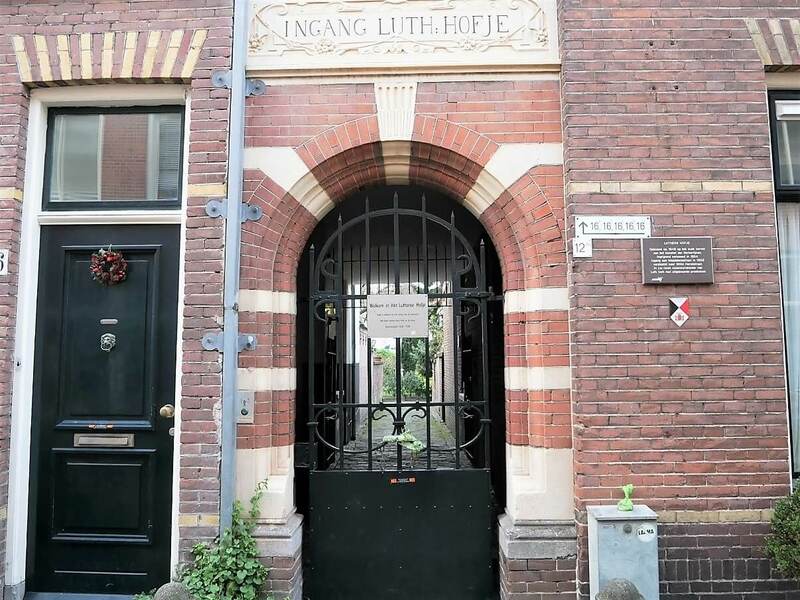 This museum is located in the house of ten Boom family in Haarlem. They lived there between 1837 and 1945. It’s also a place where they were hiding Jewish people during the Nazi occupation of the Netherlands. 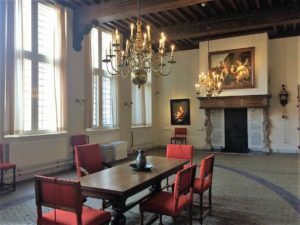 Museum can only be visited on a guided tour (they are organised both in English and Dutch). You can reserve your spot on a link here. I’ve discovered this small museum only a few months ago. But, I just loved it! 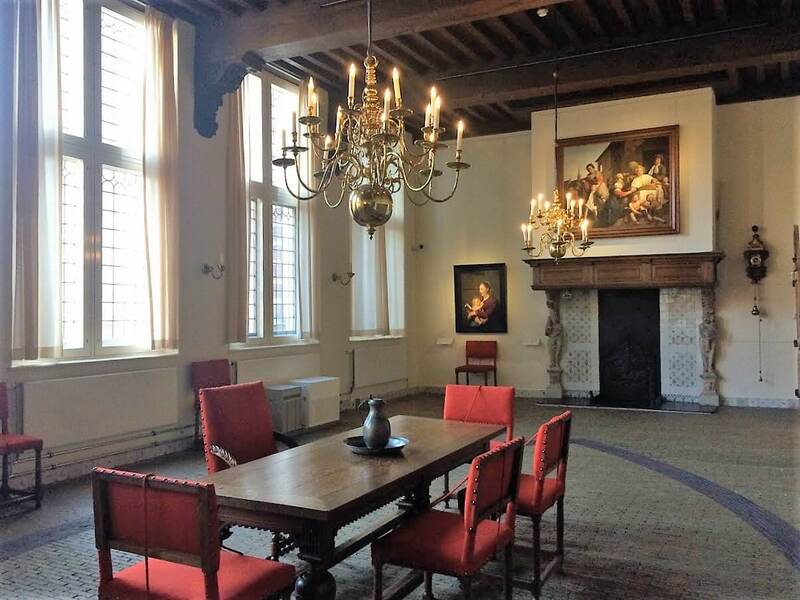 Located at the old Vleeshal building at the Grote Markt in Haarlem, you won’t spend more then 30 minutes in it. 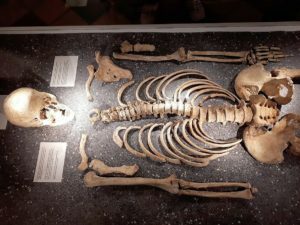 They are displaying archaeological findings from Haarlem and surrounding area. But, my favourite is Cornelis. It’s a skeleton of a man who lived during the Middle Ages in Haarlem. It was found during the archaeological research at the Botermarkt. They’ve made reconstruction of his face, so you can see how he looked like. *TIP: This museum is also really child friendly. From building the fortified city with blocks, playing with puzzles to looking for archaeological artefacts in a sand. 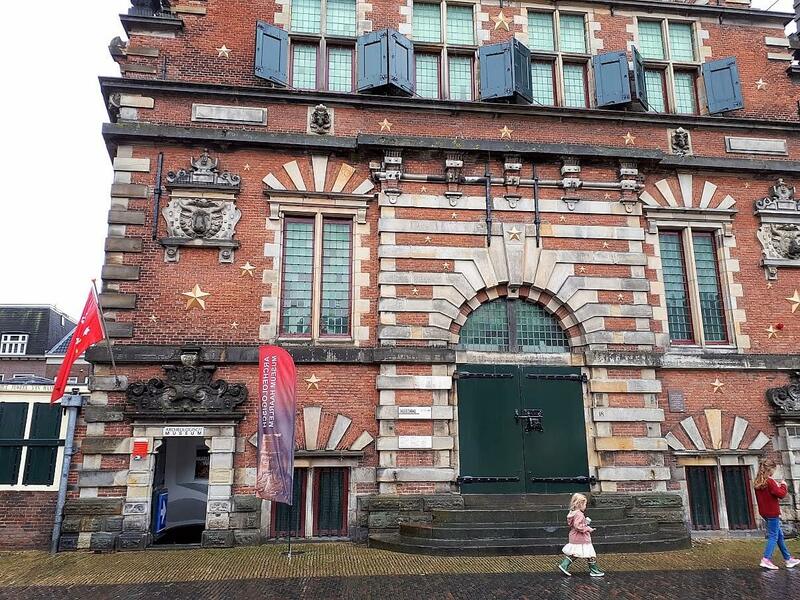 It’s definitely one of the things you should do in Haarlem if visiting with kids. During the history, beer brewing was one of the most important industries in Haarlem. The city was one of the biggest beer producers in the Netherlands. In 1620 there were around one hundred breweries in the city. You can try some of the beers made after those old recipes at the Jopen Brewery. They have a restaurant in a former church in a central Haarlem called the Jopenkerk (address: Gedempte Voldersgracht 2, 2011 WD Haarlem, website). Another industry Haarlem was famous for during the history was a flower trade. It was an important tulip trading centre during the ‘tulipmania’ in the 17th Century. A piece of that history could still be felt each April when a big flower parade is organised in the city. Whenever I’m in Haarlem on Saturday, I’m starting my day by paying a visit to its food market. 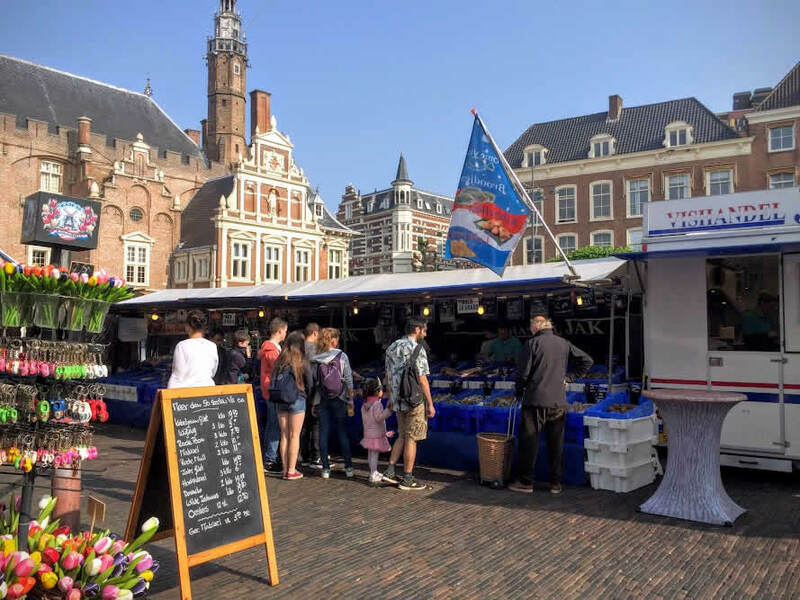 It’s organised at the Grote Markt and you’ll find a variety of food producers from Haarlem and a region there. Some of my favourite are Vishandel Jak for fish and sea food, Empanadas Maxima, Waldo cakes, cheese and olive stand. 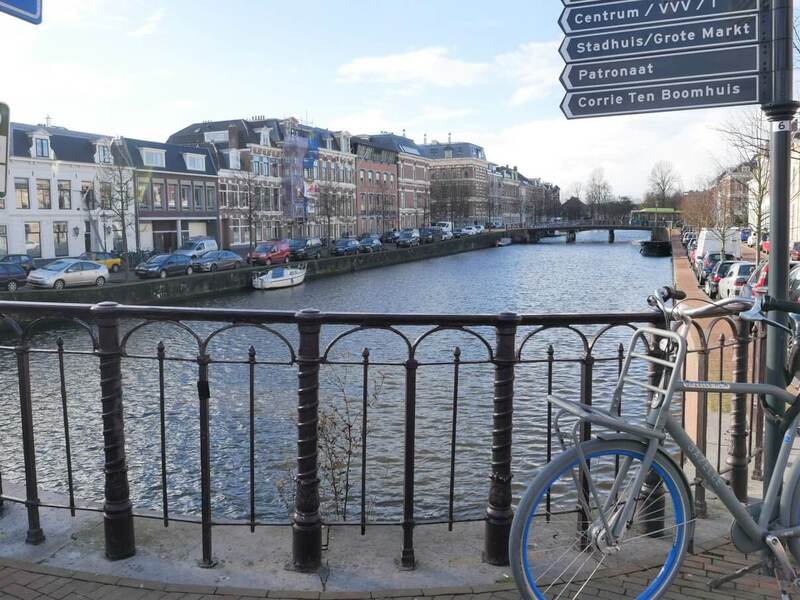 It’s a great place to feel like a local for a day and definitely one of the things you should do in Haarlem. 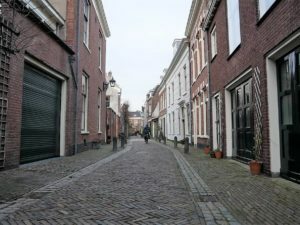 A nice way to explore Haarlem is just by walking around and getting lost in it’s old streets. Here are three walks you can take around the town during your day trip to Haarlem. Get lost in the small streets around the Grote Markt. They are filled with small shops, restaurants and bars. You’ll see different gables on top of the houses and often the year in which they were built, written on them, as well. I always like to look for the coat of arms and different decorations on them too. 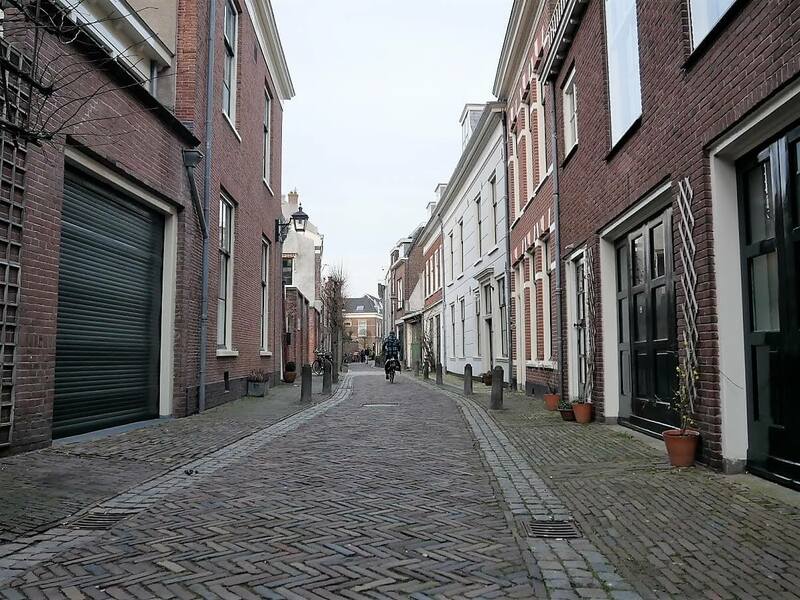 Witte Herenstraat is one of the oldest streets in Haarlem and it’s famous for many ‘hofjes’ (little courtyards) that are there. You’re going to find many old houses in that street. 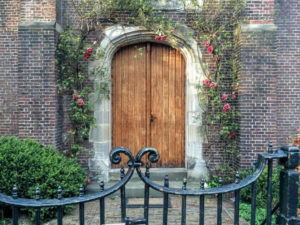 And often doors with a name of the ‘hofje’ above them. After you’ll get inside it will feel like you’ve stepped back in the time. 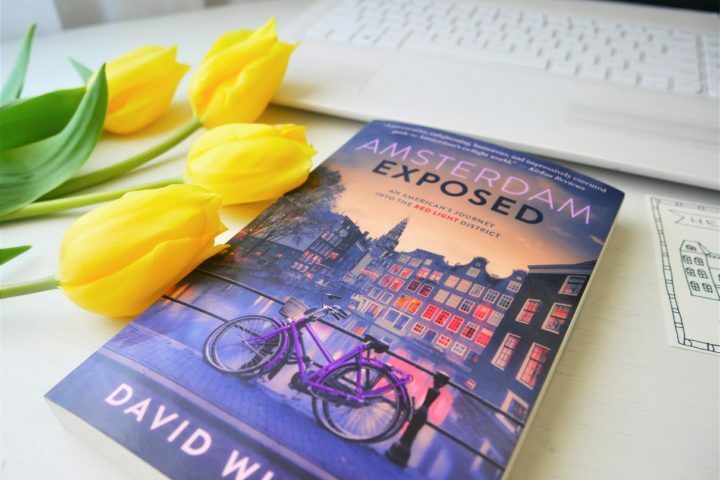 It’s a great way to explore more of the traditional life in the Netherlands throughout the history. *TIP: In majority of those old houses people are still living. Take care of that while visiting them and don’t disturb it’s residents. 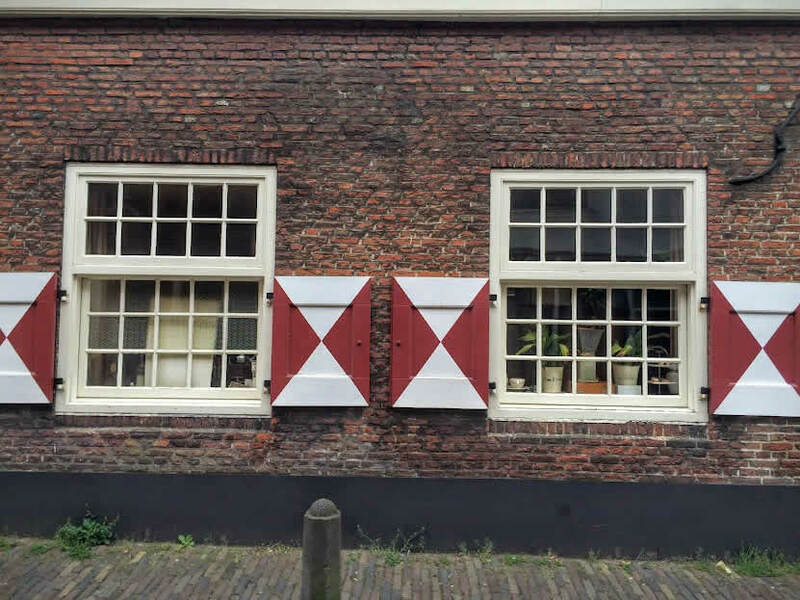 Houses along the Spaarne River are where the wealthiest citizens of Haarlem used to live during the Golden Ages. That’s why there are still some of the most beautiful buildings there. You can start your walk at De Waag building and continue walking towards the Teylers Museum, de Adriaan Windmill and turn left at the Nieuwe Gracht then. *TIP: If you won’t feel like walking, you can take a canal cruise. Smidtje canal cruises are departing from the opposite side of the Teylers Museum at the Spaarne River. They will take you on the one hour long canal cruise around the city, during which you can enjoy in a view to Haarlem from the water. You can get your ticket at the link here. 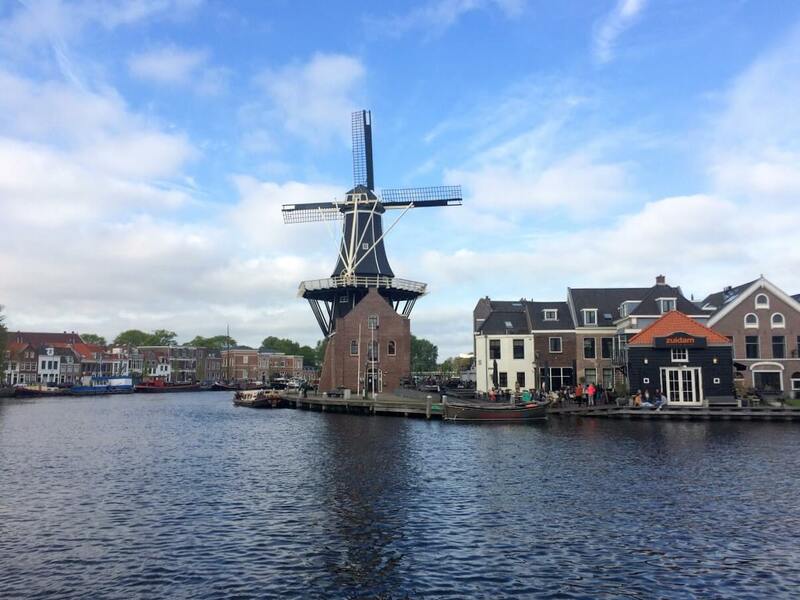 One of the places you’ll stumble upon during your walk alongside the Spaarne River in Haarlem is de Adriaan Windmill. Original windmill was built at the end of the 18th century. But, after it burnt down, it was rebuilt in 2002. There is a small museum inside it and a nice restaurant with a great view on a river just next to it. Beautiful windmill, that has find a place in every Haarlem travel guide, is definitely a place you should visit. Haarlem is surrounded with some beautiful nature, so you can expend your trip and spend the whole weekend in this lovely Dutch town. Here is what you can see just outside the Haarlem. If you would like to see Dutch dunes and spend a day in a nature, a visit to the Zuid-Kennemerland National Park could be a great idea. 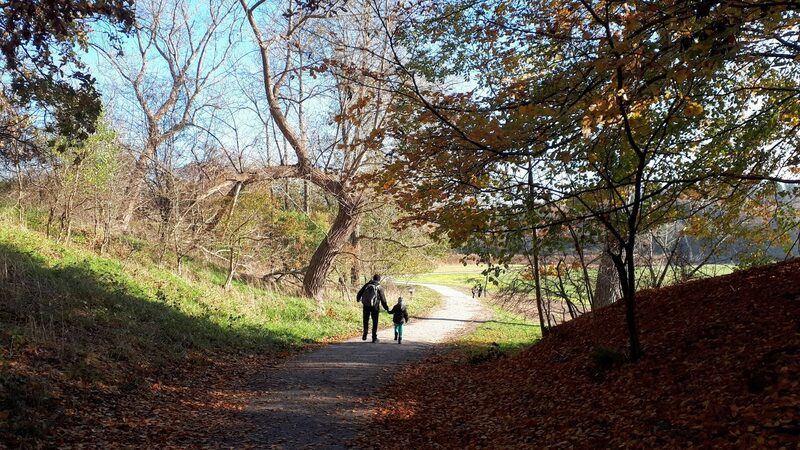 It has many cycling routes, walking paths and it’s a home to some beautiful sceneries with cute little lakes. I’ve seen a deer and a highland cattle there, as well. *You can read more about it in my blog post about biking through the Dutch dunes on a link here. 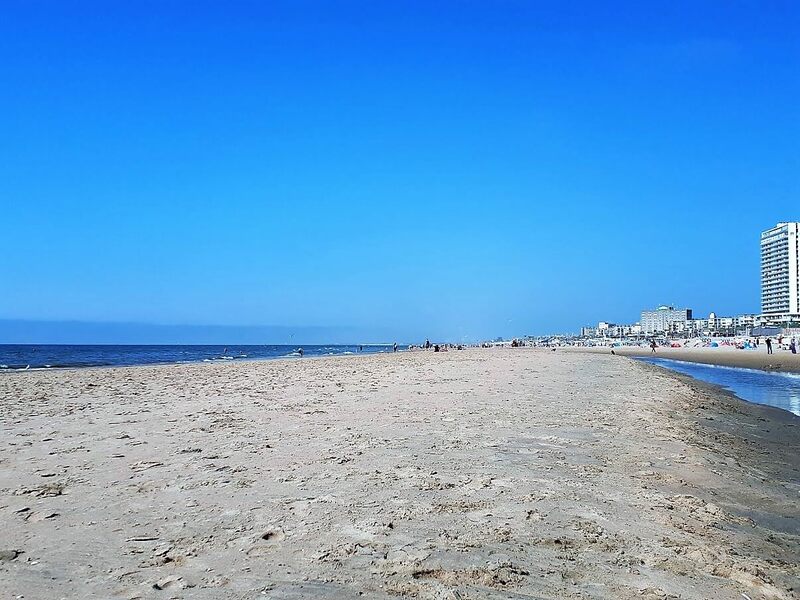 The North Sea and some beautiful sandy beaches are only 20 minutes away from Haarlem. You can get a city bus no. 81 from in front the train station in Haarlem. Or catch a train to Zandvoort aan Zee. And you’ll be at a beach in around 20 minutes. I love going there on weekends, take a walk at a beach or just enjoy having a coffee or breakfast with a nice sea view. Something I really like in Haarlem is that it has a feel of a small historical town. It’s quiet and life is slower than in Amsterdam. But, at the same time, it has some great restaurants and cafes. 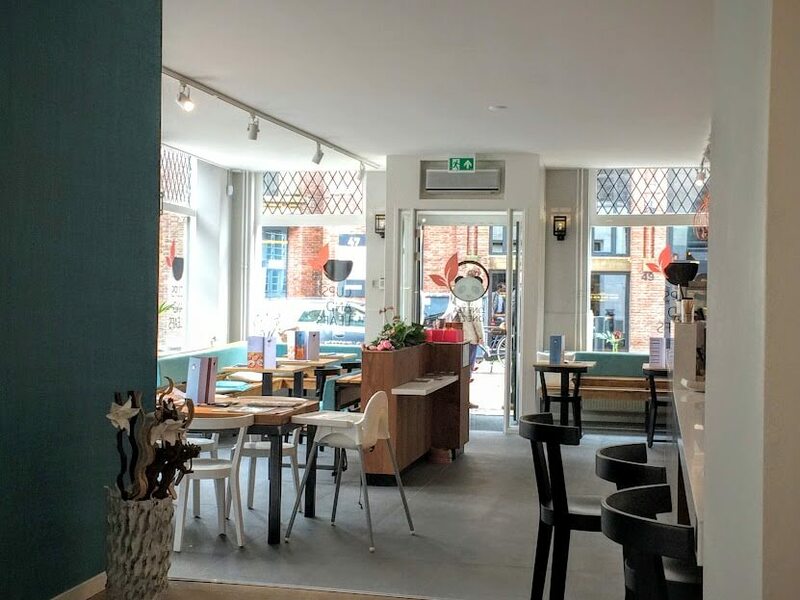 # – Frisk aan het Spaarne – This is one of my recent discoveries and probably one of my favourite restaurants in Haarlem. Located just next to the Spaarne River it’s probably the restaurant with one of the best views in Haarlem. They have Nordic cuisine with a lot of fish and fresh food. Not sure if I loved more a dinner there or the weekend breakfast. In any case, definitely a must go restaurant in Haarlem (address: Max Euweplein 1, 2031 VP Haarlem, website). 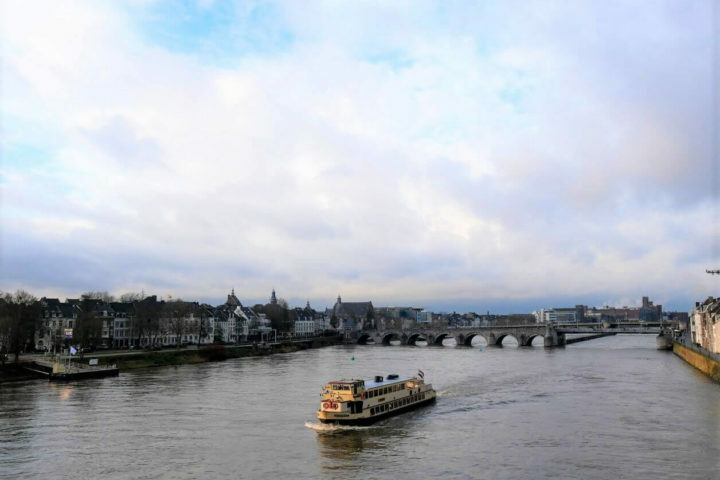 # – Spaarne 66 – Another place I really like in Haarlem. They are serving international food, but everything I’ve tried there had some interesting twist. 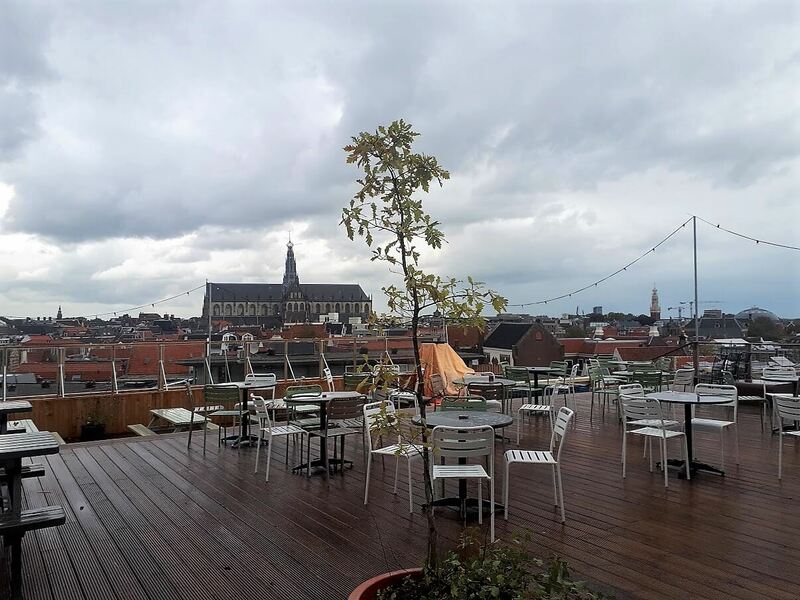 Located in the old city centre, it also has a nice view on the Spaarne River. Perfect for a romantic dinner or just some cheese and wine in the evening (address: Spaarne 66, 2011 CK Haarlem, website). # – Nolita Pizzabar – In my opinion this is where you can find the best pizza in Haarlem. Lovely interior is both nice for a dinner in two or a family visit (address: Lange Veerstraat 17, 2011 DA Haarlem, website). 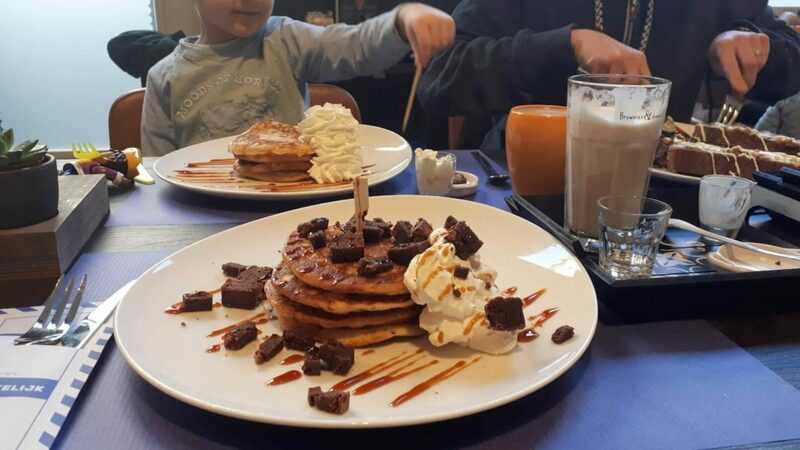 # – Jetties – This is a great place to go for a lunch. They have biological food, some delicious smoothies and natural juices. Their pastas are probably my favourite food there (address: Kruisweg 57, 2011 LB Haarlem, website). # – Thrill Grill – These are probably the only burgers I like. They’ve specialized in them and you’re going to find many variations of that dish there. My favourite is the one without bread (address: Oude Groenmarkt 26-28, website). Many cafes in Haarlem are also serving food or snacks. So you can combine your coffee with something to eat in them, too. 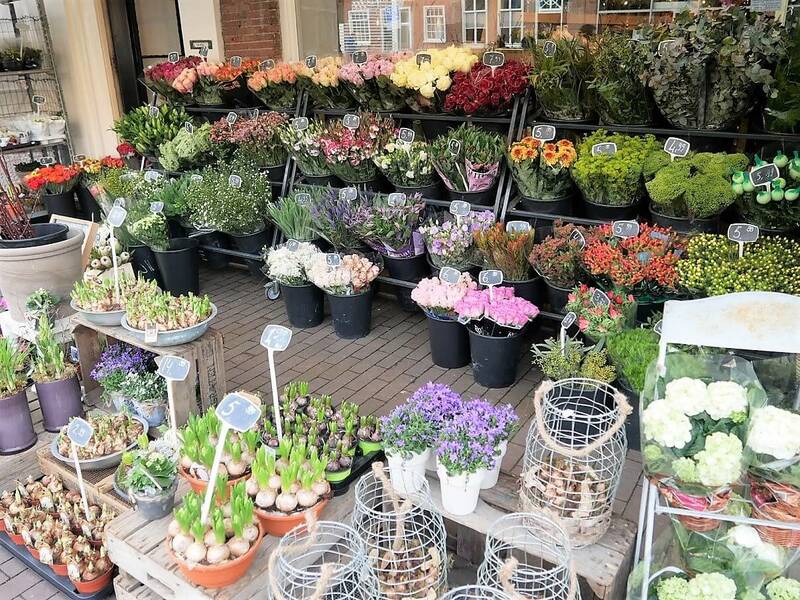 Haarlem was pronounced to be the best shopping city in the Netherlands a few times already. It’s quite small so you can find many different shops within a walking distance. Beside some big brands, there are many local shops with Dutch brands. 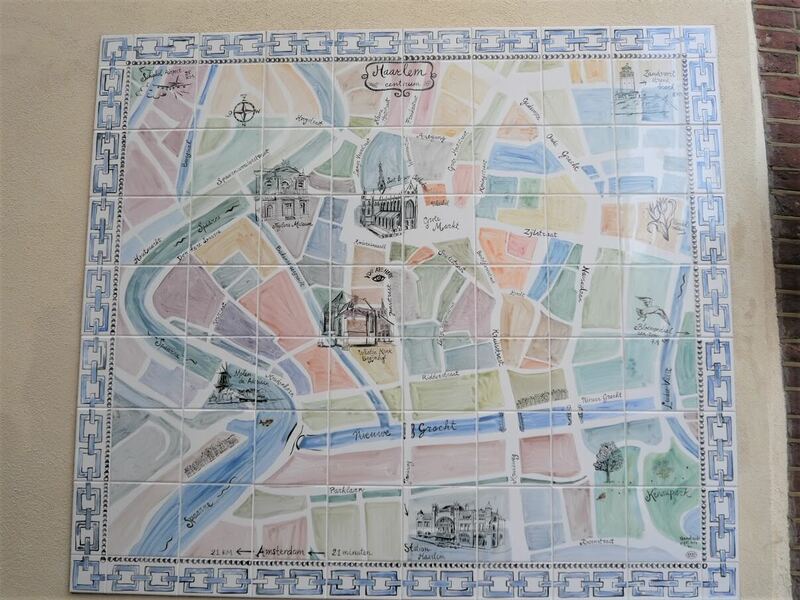 You’re going to find majority of them on the streets between the Grote Markt and Gedempte Oude Gracht. However, some of the nicest fashion stores are in the Zijlstraat. Haarlem is such a charming Dutch town and it’s definitely worth a visit. I hope that with a help of this Haarlem travel guide you’re going to find all the interesting things to do in Haarlem and have a great trip there.